Welcome to my stop on the Stuck In A Good Book Giveaway Hop hosted by I Am A Reader, Not A Writer and Stuck In Books. For my stop, I decided to share the Soul Screamers love because I have been full of Tod feels lately. I have and looooved it! The last one is my favorite since it made me cry! EMOTIONS! I have wanted to read this series for a long time but haven't been able to buy any of the books yet! I've read the first volume and loved all of them! Thanks for this awesome giveaway! I want to say my favorite is number three. But I also love the novellas. Thanks for reminding me that I like this series! I haven't read it yet, but I have read some short stories from anthologies and they have hooked me into wanting to read them. I haven't read it yet and I want to read it beacuse it sounds interesting to me. thanks for the giveaway. 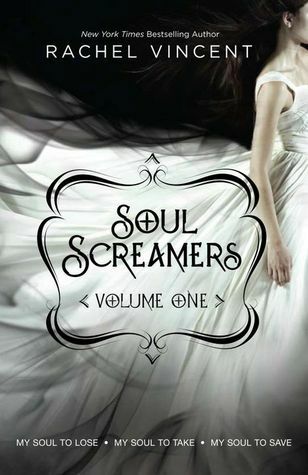 No I haven't read Soul Screamers, but i really want to because I love paranormal books! No I haven't read this series yet but it is on my to read list! I've been wanting to read this series for awhile! No I have not, I know my daughter would love this, she loves this genre, she would be thrilled! ! I have only had the chance to read the first two books in the series, and I loved them both. I am looking forward to finishing it up because I have heard such great things about it! I haven't read the books yet. 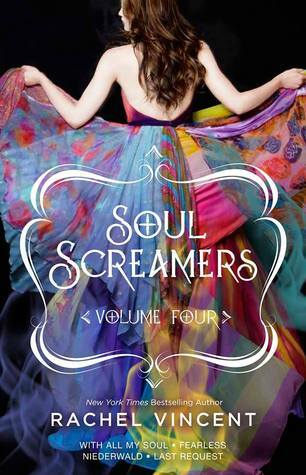 Honestly, the thing that drew me into them was their gorgeous covers! Then, I read the synopsis and I knew that it was meant to be. They have been on my TBR list for quite some time now. I've not read this series but I keep hearing great things about it! No, I haven't read any books in this series. I would love to win as these types of books are my favorite! I would have to start at the beginning so Volume 1 for me. Loved The third book! It was awesome! I haven't read this series yet, but it sounds intriguing. I have not read this series, but I have heard of it and it really looks very good. I know I will enjoy it. I have not had a chance to read this series yet, but I bought volume 1 already so it would be nice to win volume 2 so that when I do read it (I am bringing it on my cruise, which leaves in 10 days) I can just keep reading. I haven't read this series yet but I really want to! I've heard so many bloggers gush about it and I seriously don't have a good reason as to why I haven't read it yet! I haven't read this yet but I have heard great things about this series and it sounds really interesting! I've read the whole series and I loved all the books! My favorites are If I Die and Before I Wake. I have not read them but it sounds good and I love horror and thriller.